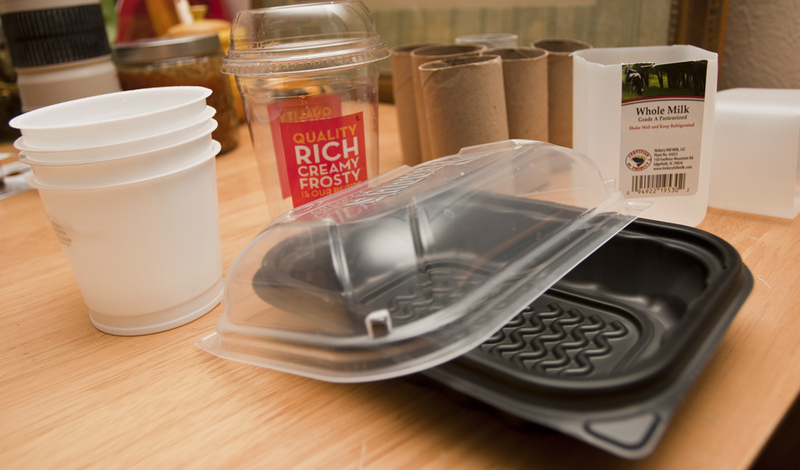 So… would you rather want containers with drainage holes or without? Or does that depend on what seeds you’re trying to sow? You always want drainage holes whether you put them in or the container already has them. If you don’t have drainage holes, it is very easy to over water and rot the seeds. 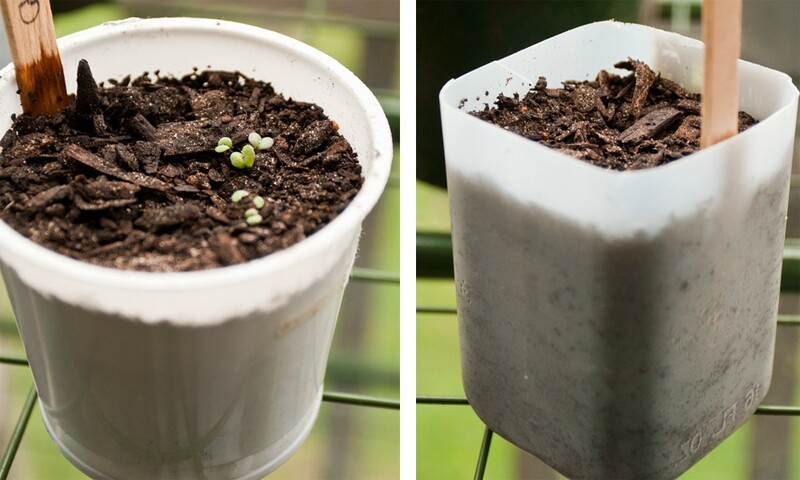 Sometimes you can get away without drainage holes if the container is made from peat or cardboard because it will absorb and evaporate the excess water. Good luck with the toilet rolls – I really didn’t get much out of mine but maybe I over or underwatered (or, more likely, both at different times 🙂 ) I pretty much now just sow seeds in medium sized pots (the long, window box type are my preferred) and transplant form there but I love you ideas for reusing all the house waste. I often top my transplanted seedlings with old plastic bottles (milk, juice or soda – plants don’t care) to work as a greenhouse. It’s worked a treat with my cabbages. 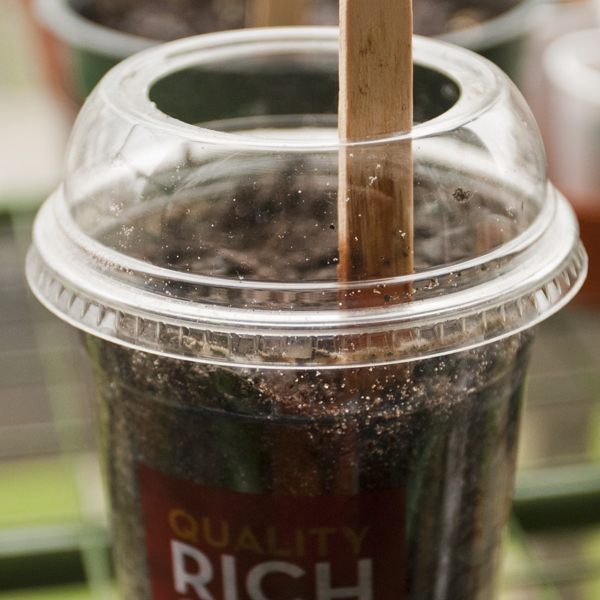 And, if I have to sow seeds in the ground, I put strawberry or other fruit containers (here we often get fruit in plastic boxes) over top to stop wild animals digging up and eating my seeds. I have lost a lot of sunflowers that way and most recently something (I think my bandicoot) dug along where I had planted onion seeds. I didn’t think anything would eat them so I left them uncovered – now I’m on notice. I have quite the collection of old kitchen plastic waste in my gardening stores – not what I expected when I started gardening. I will wait with as much patience as I can muster to see how your various seed pots go. Good luck! You definitely have a lot of great suggestions for gardening! 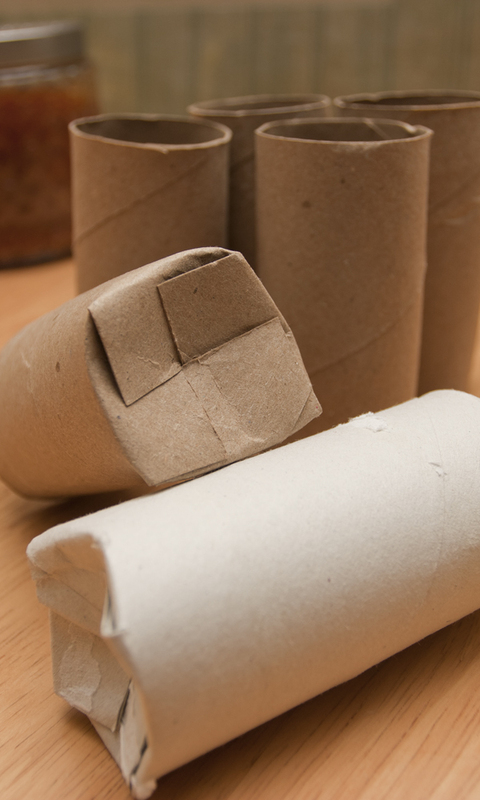 I find the toilet paper rolls are very difficult to over water since they absorb and evaporate water so quickly/easily…but would be very easy to underwater, especially if you live in a very hot, sunny area. Very similar to peat pots in that way. As for creating greenhouses with old bottles, I just don’t worry about it simply because I got a hold of a little greenhouse on clearance ($10! ), otherwise I would consider it more seriously as it really is a good idea. Plus, something tells me that if I tried to protect my seeds with plastic bottles…that the naughty squirrels would just push them aside to dig in the soil anyways! Also, because we live in a small apartment, my boyfriend has the habit of throwing out my plastic containers I’ve saved to garden with because these gardening treasures are “just trash” to him! Haha. 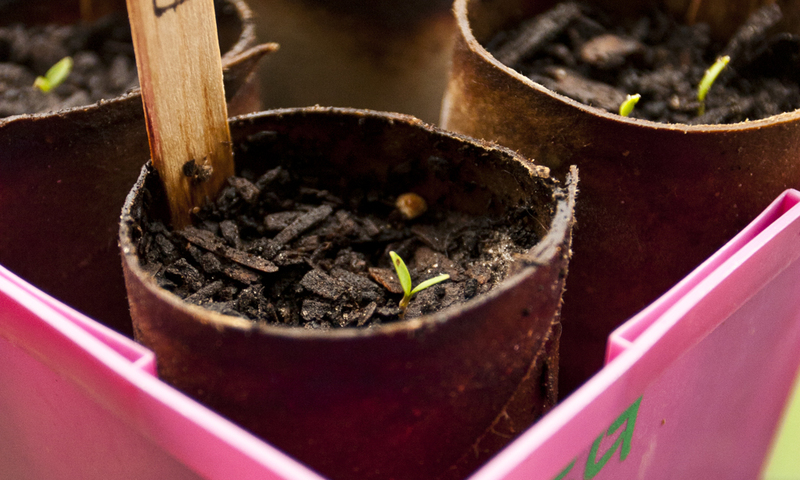 The same small space reason…is why I also like to start seeds in individual containers. It just makes the gardening a little bit easier if I don’t have to fight to separate roots and what not on my little balcony that is already cluttered with plants and pots! Lol. Here’s hoping this is a fruitful year for you micro-garden.